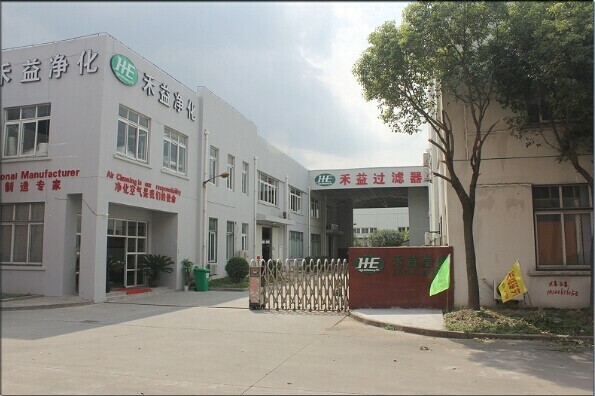 ﻿ Company Profile - Shanghai HEFIL Purifying Equipment Manufacturing Co., Ltd.
Shanghai HEFIL Purifying Equipment Manufacturing Co., Ltd. was founded in 2006, and it has a reputation of HEFIL brand at home and abroad. HEFIL is devoted to the development, manufacturing, wholesale and retail of Air filters, chemical filters, High temperature filters, fan filter units, other cleaning equipment and clean room products, and it can also provide the services of related technology and equipments. HEFIL has advanced computer-controlled automatic production lines for the production of mini-pleat Panel Air Filters, separator air filters and cartridge filters, also is provided with the perfect testing process and the dust-free workshops. 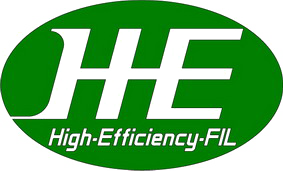 All kinds of purification and filtration products made by HEFIL are widely used in semiconductor industry, electronics industry, nuclear industry,pharmaceuticals industry, biotic experiment, food and beverage industry, electromechanical device, environmental protection, chemical industry,painting industry, automobile industry and other fields. HEFIL has successfully obtained ISO 9001:2015 quality management system certification;HEFIL products have been certified by SGS,RoHS, and UL. HEFIL always makes efforts inmarket development with the perfect quality, the good pre-sales and after-sales services. HEFIL fully implement the guideline in business – "Survival Depends on Quality and Service; Markets Rely on Price and Brand". HEFIL product sales are improving year by year, and the product's market share continues to increase. One after another, inBeijing, Shanghai, Jiangsu, Zhejiang, Anhui, Shandong, Guangxi, Sichuan,Hainan, Chongqing, Hubei, Guangdong, Hunan, Henan, Hebei, Shanxi,Shaanxi, Yunnan as well as Malaysia, Mexico, Singapore, Australia, India,Canada, Japan, the United States, Germany, Russia and so on, HEFIL products have their own customer base. Moreover, paying more attention to improve the quality of employees,the Company is taking high quality human resources as a business capital, and it has specialized in hiring senior research engineer, senior technical personnel dedicated to product development and manufacturing. Attaching importance to training and education of employees, and advocating "The More Challenging, the More Innovation" the spirit of enterprise, the Company has created an excellent manufacturing team, which is vibrant, dedicated and innovative. With the Company's sustainable development and its team growing day by day; HEFIL will continue to adhere to the "Regard Customer as the Centre" concept, and consolidate the main basis to make great strides forward to a wide range of development. In the fierce market competition, the company will forge ahead, with "Creating First-class Brand, Building First-class Enterprise" the strategy of brand expansion in the face of opportunities and challenges, creating a brand new world!